Ghostvillage is launching Spring of Culture to celebrate the emerging scene of paranormal inspired creative arts. "The shows" — paranormal reality TV — often dominate the discussion in media culture. That is only a small part of the story! Off of the TV screen is a growing community of artists who engage paranormal themes (ghosts, paranormal investigation, and other supernatural elements) in web cartoons, comics, tarot card art, and in other distinctive outlets. Plus, some cast members from "the shows" are doing creative stuff in their free time. Consider Spring of Culture as an online Festival of the Haunted Arts — and only at Ghostvillage! So far, we've covered visual artists. We are now moving to writers. Welcome author Marley Harbuck Gibson, the creator of the Young Adult (YA) series, Ghost Huntress, which follows the adventures of Kendall Moorehead and friends as they delve into the unknown. Marley has co-authored a teen ghost hunting book with her fiance, Patrick Burns, and Darkness Radio's, Dave Schrader. There are also other neat things about to occur for Marley (read the interview to find out more)! She travels the country with Patrick in her RV, aptly named Midge, and two adorable kittens. One day, I hope that Marley will reveal the wonderful Indian food experiences we've had on Tate Street in Greensboro, North Carolina (including a very nonsensical bathroom we encountered). Let us welcome Marley to the Spring of Culture. Let's start this off with you telling readers an interesting tidbit about yourself – something readers may be surprised to know. An interesting tidbit…well, not only am I a certified SCUBA diver, but my fiance (Patrick Burns) and I plan on getting married underwater. My mother thinks it's kook…we think it'll be unique. How did you stumble into writing and, more specifically, the paranormal? You were previously in a corporate environment. Well, I've written my whole life, ever since I picked up that first Crayola and started the alphabet. In my corporate jobs, I worked in marketing, so I was always writing press releases, product papers, working on websites, and other sales collaterals. After six very stressful years in the dot.com industry (or dot.bomb as I like to call it), I decided to quit "talking" about writing and actually start doing it. So, on February 1, 2001, I started my first book. I got into the paranormal when my agent told me, "If you want to sell into young adult, you've got to think really high concept." I attended a seminar at the New England Romance Writers Conference in March 2007 called "Ghost Hunting 101." I had no idea people actually hunted ghosts. I've always loved paranormal movies and stories, but to go out and look for stuff like that? Oh wait…the first book came to me like a movie…right there in that seminar. And I knew I had to write about teenage ghost hunters. Therefore, the Ghost Huntress series was born. When you started the Ghost Huntress series, how much did you know about paranormal investigation? Zilch. Nada. Nothing. Only what I'd seen in the movie Poltergeist. After learning that people actually ghost hunt and knowing that I needed to do some research in order to get it right, I started watching shows like Ghost Hunters, Dead Famous, Haunting Evidence, Most Haunted and Ghost Whisperer. I learned by doing and by the kindness of so many in the paranormal arena. 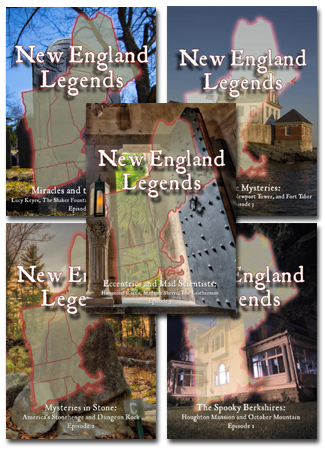 People like Ron Kolek and Maureen Wood from the New England Ghost Project, Dave Schrader from Darkness Radio, Chris Fleming from Dead Famous, Jay and Grant from Ghost Hunters, and especially Patrick Burns, who really helped me understand the technology and tools of the "field." The paranormal community seems so "grown-up oriented," yet you focus on teen fiction and you've written a ghost hunting book for a younger demographic. How is the approach different when dealing with that audience? With so many television shows out there about ghost hunting and the paranormal, teens are just drawn to the popular culture. Even though my series is fiction, the science is real. I made it a point of becoming a ghost huntress myself to make sure I knew what I was talking about in the books and was able to realistically relay ghost hunting to my audience. Teens are curious…and this is just another subject they're curious about. They're going to go out and ghost hunt, so why not nudge them in the "right" direction? In both my fictional series and in the non-fiction companion book, THE OTHER SIDE: A TEEN'S GUIDE TO GHOST HUNTING AND THE PARANORMAL that I co-wrote with Patrick Burns and Dave Schrader, we made sure that we took a responsible approach to informing teens how to ghost hunt. We advise them not to trespass, to get an adult mentor, to get permission to enter locations, and, most of all, to not believe everything they see on television. Why do you feel young people are drawn to paranormal elements, from vampires to Kendall Moorehead, the Ghost Huntress protagonist? I still don't get the whole vampire craze. Anne Rice's books were enough for me. But I digress – I think what it is that draws teens to paranormal books is that it's escapism for them. However, most all Young Adult (YA) stories are still wrapped around the fundamentals of what it's like growing up. Most all protagonists (Kendall included) are trying to find their way in life, who they want to be, how they'll deal with their parents, friends, teachers, classmates, what interests they have, and what their future holds. Ghost hunting (like vampires or zombies) is just the umbrella that pulls all of these issues together. From the e-mails I get from my teen readers, they really identify with the struggles Kendall is going through being the new girl in town, finding her place in the world, falling in love for the first time, and making new friends. The ghost hunting and her psychic awakening is just the icing on the cake of the series. I've pointed this out during Spring of Culture: paranormal reality TV seems male-dominated, but the creative side of things focuses more on the female experience, it seems. Your series is no exception. Was it important for you to demonstrate a female role model in Kendall Moorehead? After reading several paranormal YA novels where the heroine exhibited what I would call "weak" characteristics, I wanted to make sure that Kendall and her friends were smart and strong characters who could stand on their own two feet. With all due respect to Twilight and all that it has brought to the fictional world, I was frustrated at how weak Bella Swan was. She was constantly passing out or having to be carried or getting injured. Yet, [SPOILER] when she's finally turned into a vampire in Breaking Dawn, she is somehow the most powerful vampire ever created. That just rang incredibly false to me. I wanted to show that female characters – particularly teenagers – could be smart and take care of themselves and not constantly rely on a "alpha hero" to come to their rescue. Kendall and her friends do a lot of research, they're good students, they quote Shakespeare, but they also love, and cry, and feel, and want. I tried to make the girls in the book (Kendall, Celia, Taylor, Becca, Loreen, etc.) well-rounded and strong. How much of your own Southern upbringing appears in Kendall? Many people suggest that entering into the paranormal is a personally transformative experience. This sees particularly true in your case. How has this impacted your life? For starters, I found the love of my life in Patrick Burns. What started out as friendship and collaboration on a book turned into the most incredible love I've ever had, aside from the love of my family. Patrick is so supportive of my writing and has taught me so much about the paranormal. Now, we ARE ghost hunters…living, eating, and breathing it. Going to conferences, speaking to school groups, doing book signings. It is our life. Aside from that, there's a notion that people who ghost hunt or seek answers to "things" we don't know, are Satan worshippers or "dabbling in the occult." I have not found this to be the case at all in the paranormal. In fact, I've discovered just the opposite. I have never met such spiritually grounded people as I have at these events and online. I think we're all curious, not only about the history of some pretty incredible places, but that never-ending quest to find out who we are, where we came from, and where we're going. Movie rights have been optioned for the Ghost Huntress. What does this mean for you? Yes! Very exciting! My film agent, Sean Daly, in conjunction with my literary agent, sold the film rights to the first three Ghost Huntress books to Shoulderhill Productions. They have eighteen months from the signed contract to get a movie studio (or TV network) to purchase the project for production. Right now, I'm told they have a screenwriter set and the next phase will be to get the studio on board. It's a fascinating process and one that I have nothing to do with. Seriously! It's called "selling" the rights. I don't have a say on the script, the cast, the production – none of it. But the people at Shoulderhill are very nice and keep me informed of where they are in the process. I just have to keep my fingers crossed that some smart studio exec will see the potential in my stories. And, if it does make it to a screen, it's written in my contract that I get two round-trip first class plane tickets, hotel accommodations, transportation, and an invitation to the premiere. How cool will that be? So, fingers crossed! What is next for Marley, the writer? I also know that you have some exciting personal developments, as well! As a lot of people know, Patrick and I live full-time in our RV motorhome and we travel the country doing conferences, investigations, book signings, and filming. We have two rescue kittens, Madison and Boo, who are our constant companions and we're one big happy family. Patrick and I are planning on getting married 11/11/11. Life is exciting, crazy, harried, you name it, but we wouldn't have it any other way. I also have a non-fiction book called The Spirit of Christmas coming out in October of this year. (Patrick has a story in it.) And, in May 2012, my next book, Radiate, comes out. It's a fictionalized version of my cancer that I went through as a cheerleader. I'm very excited about that…as well as getting a lot of digital publishing out there, as well. In closing, what words of inspiration do you have for budding, young investigators and writers? For budding investigator, as Patrick and Dave say, "just because you own all seasons of Paranormal State on DVD, it doesn't mean you're automatically an investigator." Go to events, talk with people who've been doing this for years, listen to the "experts" and hear their advice. Go into investigations with an open mind. For aspiring writers, if you want to write, then quit talking about it and do it. Just sit down at the computer, open up Microsoft Word, and start typing. Don't think about how much it'll sell for or what the cover will look like. Block out the elves of self-doubt that tell you it won't be good or you shouldn't do it. It's simple…just write. Just do it. If it's truly your dream, don't let anything keep you from it. And good luck! !